A big thank you to Born Free supporter Elaine Foster, who sold toys and calendars to colleagues at Kuoni’s head office in Dorking. 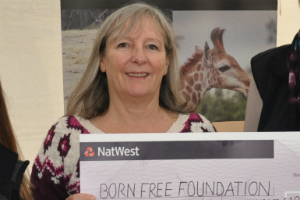 They support Born Free every year at their Christmas Fair, and this year raised £120! 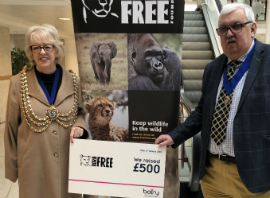 Born Free was honoured to have been chosen by The Belfry Shopping Centre in Redhill to benefit from proceeds from its Christmas Grotto throughout December. Thank you to teveryone involved who helped raise £500! A huge thank you to Val Hackett and Mike Carey, whose Wish For Freedom fundraising dinner took place at Burton Albion Football Club in November. 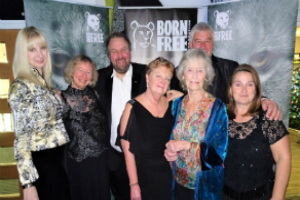 Their 17th event in aid of Born Free, over 200 guests attended, with the auction raising over £15,000 for wild animals. 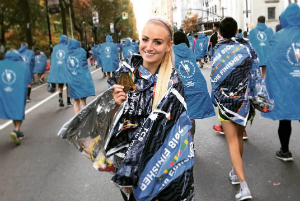 Amazing Alexa Turpin raised £370 by running her first marathon – The Amsterdam Marathon! 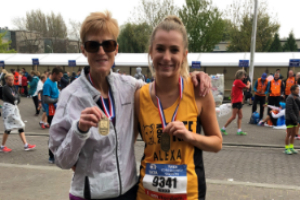 Alexa, who lives in Hertfordshire only started running this year and so completing the Amsterdam event, alongside her mum, was a huge achievement! 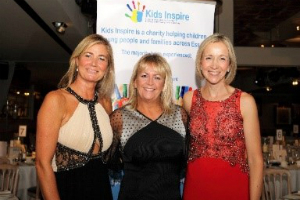 More than 160 guests joined Fiona Tomlinson, Lisa Courtney-Cook and daughters Francesca Tomlinson and Darcy Courtney-Cook for a charity ball in October. Guests enjoyed pre-reception drinks and a three course meal, followed by live music, a raffle and an auction £9k was raised!